In just a couple of days Google Reader will be no more. Most of you already know this and have probably made some kind of change. I'd like to take this opportunity to encourage all my readers to click the link below and follow me now on Bloglovin'. It took me awhile to make the switch but I couldn't be happier. Bloglovin' sends me an email every day with the latest posts of all the blogs I'm following. For me this is just soooo much easier than trying to remember to go to Google Reader to check in. Plus it was easy for a tech dummy like me to bring the blogs I follow over to Bloglovin' too. Just follow their online directions. It wasn't nearly as bad as I thought it might be. If you're not into the reader thing, you can now follow me with an RSS feed or by email. Just see the side bar for those links. Whichever way you choose, I do hope you will choose to continue following. Have a very lovely and relaxing weekend. Thanks to our new Boulder Modern Quilt Guild and Denise, I've finally joined the scrappy trip around the world block craze. I'm not usually one for doing too many quilt-alongs since I have way way too many of my own designs swimming around in my head and not enough time to get them done. That said, now I see what everyone is so excited about. This is such an easy block to piece thanks to Denise's great demo. Love the Elmers glue trick for matching seams. 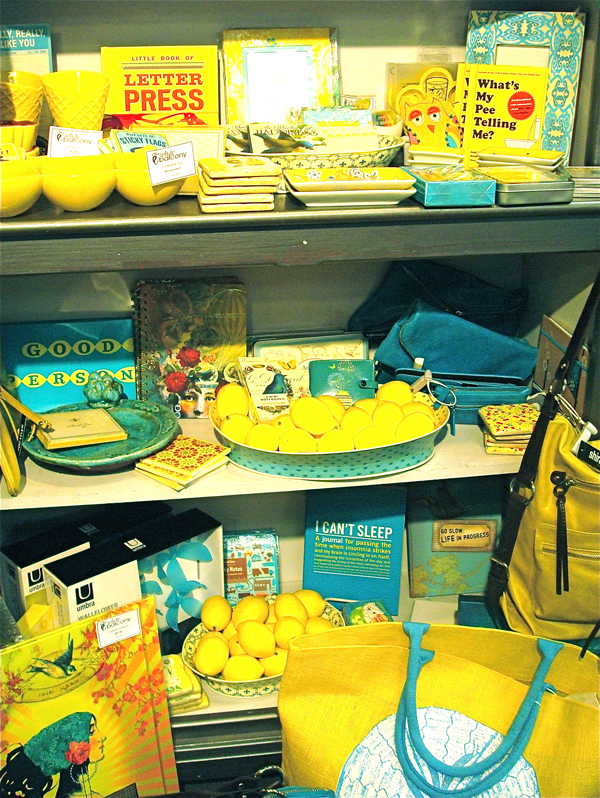 I've been collecting fabrics in the aqua/blue/lemon/yellow range for awhile now ever since I saw this great eye catching display in one of my favorite Ft Collins shops, The White Balcony. The color didn't come out too great in the original photo but I still remember the impact it had on my creative ideas. Now I think I'll be making more of these fun scrappy trip blocks. Even have ideas for other color schemes. Who knows . . . If you're like me and just never got around to making this one, it's never too late. Here's the link to the original Scrappy Trip tutorial. 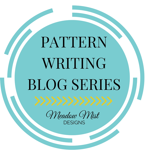 I'm linking up with Freshly Pieced for WIP Wednesday. Hop over and take a look. 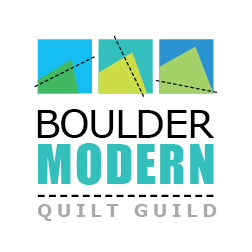 I'm happy to announce that we now have a Modern Quilt Guild in Boulder, Colorado. I was able to put my graphic design background into action designing the logo. For anyone not familiar with Boulder, the quilt blocks in the design represent the distinctive rock formations called the Flatirons on the city's western edge. Maybe I need to make a quilt with these blocks next. What do you think? The Boulder Modern Quilt Guild is open to anyone who is interested in exploring and learning more about the modern quilting aesthetic. All ages and abilities are welcome. If you live anywhere near Boulder, come learn along with the rest of us. So far we have members from Boulder, Lafayette, Louisville, Longmont, Broomfield, Arvada, Superior and Nederland. 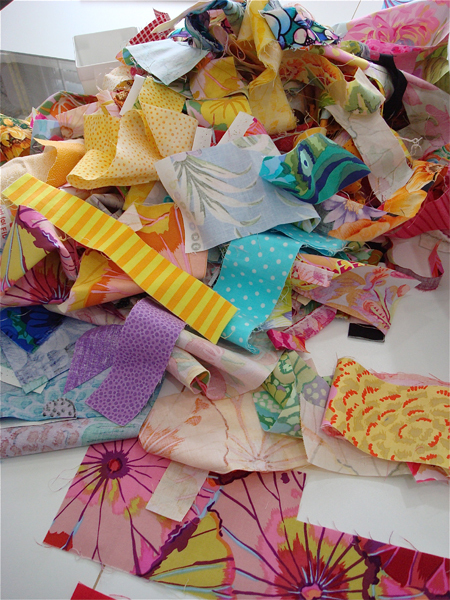 We host open sew days once a month where we all bring our machines and stitch away. Many of the sew days include a challenge/demo project where we learn a new block or make a small project. 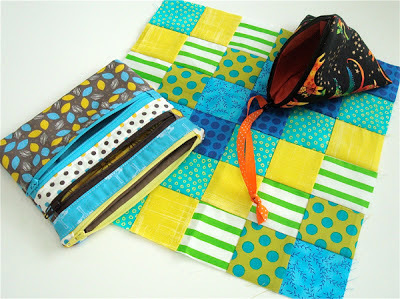 So far we have made a couple of zip pouches and a scrappy trip around block. Here's mine. We are also currently working on a charity project making baby quilts. In addition to open sews, we just had a tour of eQuilter.com which is located in Boulder. 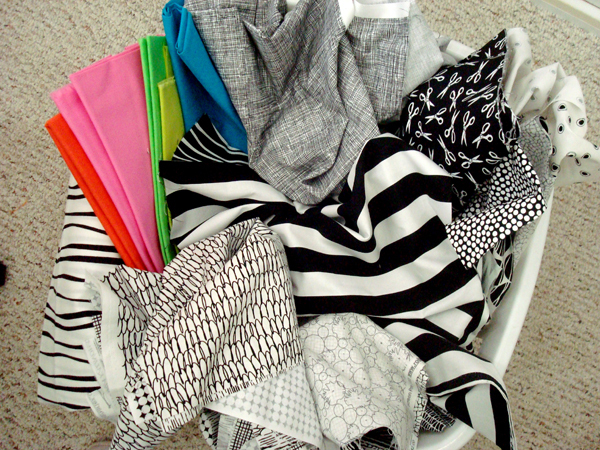 We got a behind the scenes look at all the fabrics and how their operation works. Their selection is amazing plus they carry all the Kona solids at a great price. One of the really cool things about eQuilter is they give 2% of sales to charity. Doesn't that make you feel better about spending money on fabric? As if we need an excuse to buy fabric. Hop over and take a look around. I'm sure you'll find something tempting. 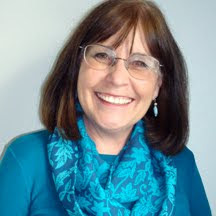 If you would like to officially join the BMQG, you need to contact Carrie Dalton (csd55@yahoo.com). Annual dues of $50 will cover open sews, Challenge Project's unusual supplies (like zippers, interfacing etc), tours, speakers, and anything else we can think of. If you do not want to join the guild, but do want to attend Open Sews, you can pay individually for the day ($10), space allowing. Priority will go to guild members. 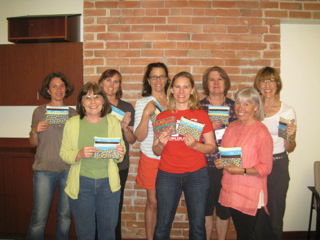 Here's just a few of our members holding our triple zip pouches made from Debbie's great tutorial. Come join us at our next sew day, Sunday July 28th, from 9:30 to around 4:30 at Alfalfas on the corner of Broadway and Canyon in Boulder. Be sure to contact Carrie (csd55@yahoo.com) if you'd like to attend. For more information check our website or our Facebook page. So what do you consider a scrap? It seems I have a hard time letting go of even the tiniest bits of fabric. 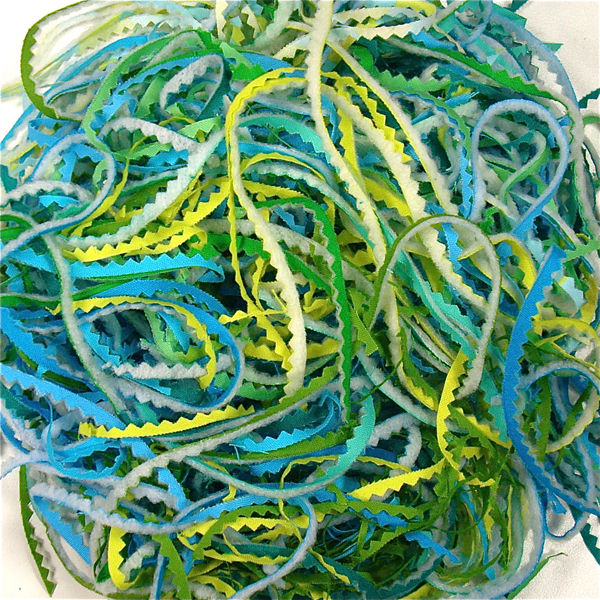 The teeny tiny skinny strips I trim from the edges. The little triangles leftover from sewing binding strips together. The selvage edges that don't even have cool stuff along the edge. 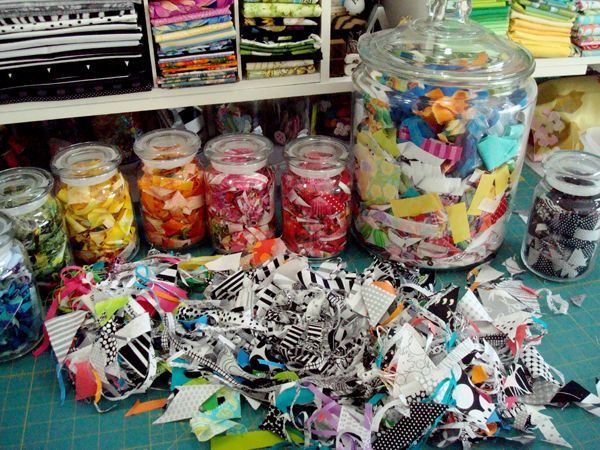 How do you store your scraps? For that matter what do you consider a scrap? I'd love to know what other people do. I'm sooo very tech savvy that I'm just now getting around to making the big switch to Bloglovin. Actually I have no idea what I'm doing but here goes. Please take a moment to make the switch with me so you can follow my blog using Bloglovin. If you'd rather follow via email just sign up using the space provided on the sidebar. Thanks.